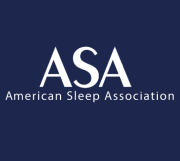 From the ASA: When Should You See a Sleep Specialist? Sleep specialists treat patients who have sleep disorders and sleep problems. A sleep specialist may be a physician or a clinical psychologist with extra training in sleep and sleep disorders. There are many types of sleep disorders and sleep problems. Generally, individuals should seek care for a sleep problem if they have chronic daytime sleepiness, or if they have symptoms that are suggestive of specific sleep disorders. Everybody occasionally feels sleepy or fatigued during the daytime. However, it is not normal to feel sleepy during most days of the week. It is also helpful to differential ‘fatigue’ from ‘sleepiness’, as the causes may be different. 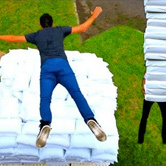 Fatigue is the sense of ‘being winded’ or lacking energy to perform tasks. Sleepiness is described as the pressure to fall asleep. If you find yourself frequently falling asleep and taking a nap when you sit down on the sofa during the middle of the day, you may have a sleep problem. Of course, falling asleep while driving is very dangerous, and unfortunately happens too often on our highways. While most sleep disorders are associated with excessive daytime sleepiness (EDS), but not everyone with EDS has a sleep disorder. Signs of other sleep disorders include snoring followed by pauses in breathing during sleep, frequent unusual movements during sleep, thrashing during sleep, and difficulty staying asleep or following asleep. If you think that you might have a sleep disorder, the first step is to talk to your primary care provider about your symptoms. If warranted, you might be referred to a sleep specialist for follow up.